What is the difference between O Gauge and O Scale? Gauge refers to the distance between the outer rails. All O track has the same distance between the rails. 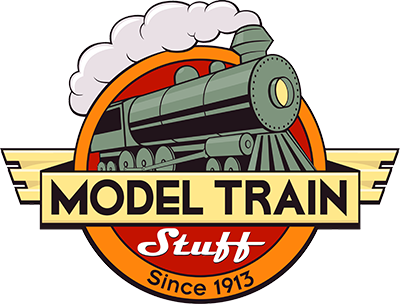 In general use, O gauge refers to 3 rail model railroading made popular by Lionel. Three rail trains from various manufacturers, such as, Atlas, Lionel, MTH, Weaver, and Williams will operate on the O gauge 3 rail track of any manufacturer. O Scale refers to trains that run on 2 rail O track. The term O Scale also is used to designate a commitment to scale size reproduction of real life in a scale of 1:48 size, the ratio between the real world and the model. All buildings, people, locomotives, rolling stock, etc., are sized accurately to this proportion 1:48 (1/4 inch equals 1 foot). Two rail and three rail modelers often attempt to keep their model railroads to scale size accuracy. The term "scale" is used by anyone in O modeling to indicate a model that uses the ratio 1:48. Lionel uses the term "Standard O" to refer to trains that are close to or actual O scale in size. Traditional sized O gauge (3 rail) trains are often slightly smaller than scale sized models. They are sometimes termed O-27 size. The traditional size operates on either O or O-27 3 rail track. The term O-27 comes from the track line introduced by Lionel that has a sharper radius than the original O gauge 3 rail track. O-27 is lower in profile than O gauge 3 rail track. They can be identified by the color of the ties. O-27 has brown ties and O gauge track has black ties. Some scale sized locomotives and rolling stock will not operate on O-27 curves because they need a more gradual radius. Check the features of any locomotives or rolling stock you are thinking of purchasing to be sure it will operate on your model railroad. If a locomotive is rated at O-42, it will work on any circle of 42 inches or more but not on O-31. Unlike other scale modelers, O gauge modelers use diameter to indicate the curvature of a circle or turn, for example, O-27 means a circle of 27 inches in diameter is produced when 8 pieces of track are put together. HO and N scale modelers use radius when describing circles/turns, for example, using track designated 18 inches produces a circle of 36 inches.